Resort Taj Malabar Resort & Spa, Cochin. 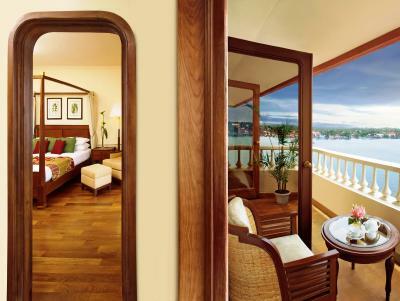 Lock in a great price for Taj Malabar Resort & Spa, Cochin. – rated 9.1 by recent guests! The staff. They were very gracious and helpful. Exemplary. The staff were amazing. Each and every one of them. They were extremely caring and courteous. The food was amazing. I travelled alone and was hesitant to go out at night, I was worried I would get bored, but I actually had lots of fun because there is always something happening at the hotel! Plenty of activities and things to do, and when none, you can just chat with the staff as they really hold great conversations. 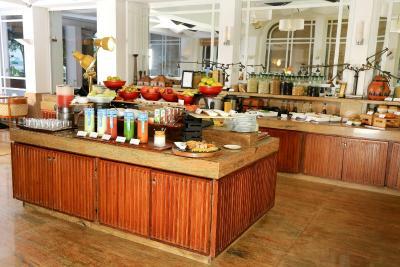 Must do's at the hotel: * Boat ride (complementary and totally worth it) * High Tea at 5:00pm - you cannot miss the snacks! (Complementary only from 5:00pm - 5:30pm) * Dinner - every night there is a different theme night, both nights I stayed, the food was delicious! (a bit pricey, but worth it - try at least once). * Incense and lighting ceremony - its only for 15 minutes at sunset, so make time for it. Its pleasant to watch. (Complementary - you can even take part of the ceremony if you like). Really enjoyed our stay. Loved the daily cultural programs (local dances, boat rides, etc). Amazing service. Very friendly & helpful staff. Location, staff and overall ambience was wonderful. Staff went above and beyond to accommodate me and my family! 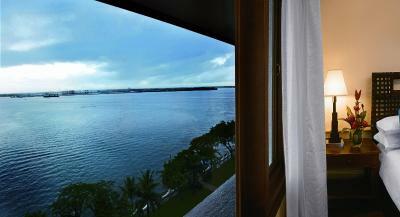 This property is located on the edge of the water near Kochi port. If you get a room with a view it's worth it. Thank you Taj Malabar for making my stay in Kochi memorable. Excellent service, excellent room, excellent food. I will definitely recommend Taj Malabar to anyone coming to Kochi. Thank you! Restaurants are great and the staff are very curtious my 3 year old son enjoyed the entire stay!! Taj Malabar Resort & Spa, Cochin. This rating is a reflection of how the property compares to the industry standard when it comes to price, facilities and services available. It's based on a self-evaluation by the property. Use this rating to help choose your stay! 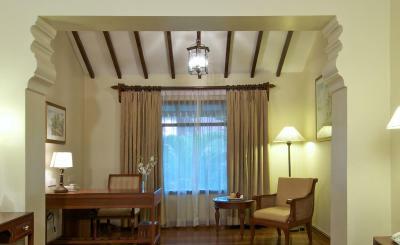 Experience World-class Service at Taj Malabar Resort & Spa, Cochin. 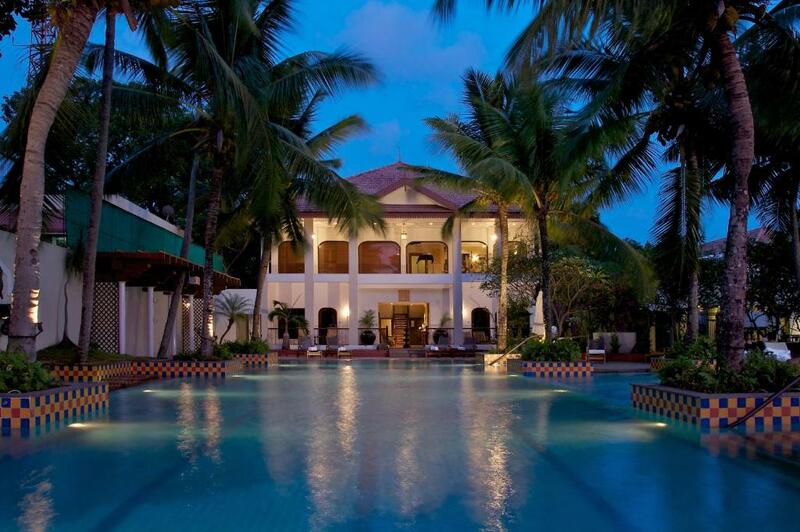 One of our top picks in Cochin.Blending colonial Victorian charm and chic modern design, the 5-star Taj Malabar Resort and Spa Cochin presents a first-rate spa, a landscaped pool and a 24-hour fitness center. 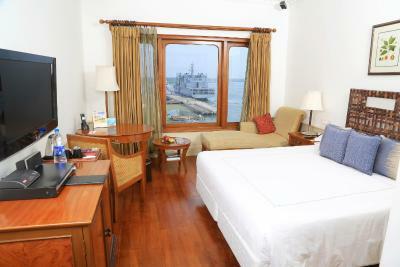 Overlooking Cochin Harbor, its contemporary rooms include a 32-inch flat-screen TV and DVD player. Free WiFi is available throughout the property. Featuring classic interiors, well-furnished rooms offer stylish touches like wood-beamed ceilings and fine wood fittings. They come with a tea/coffee maker, bathrobes and slippers. 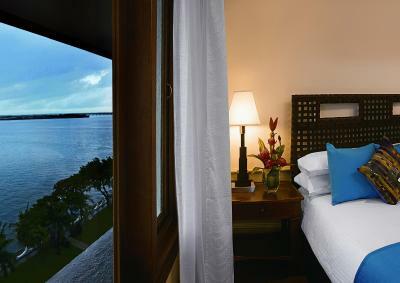 Just 0.6 mi from the city center, Taj Malabar Resort and Spa Cochin is 9.3 mi from Cochin’s shopping district and Ernakulam Town. 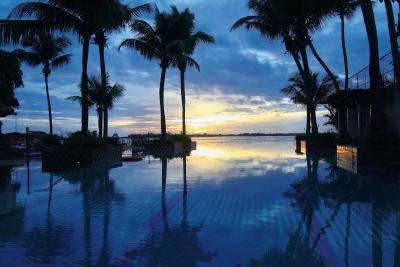 It provides free parking and is 28 mi from Cochin International Airport. 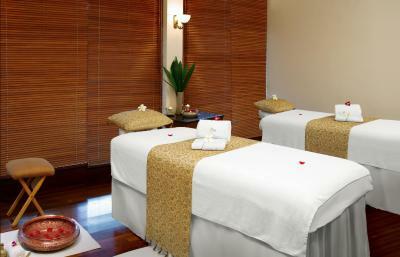 Relaxing body scrubs and Indian massages can be enjoyed at Jiva Spa. 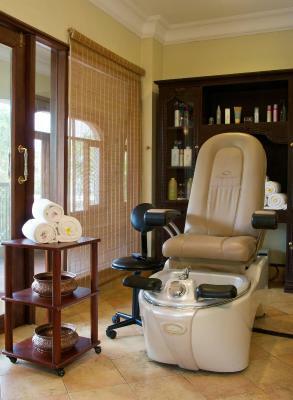 The hotel also houses a beauty salon, games room and a business center. 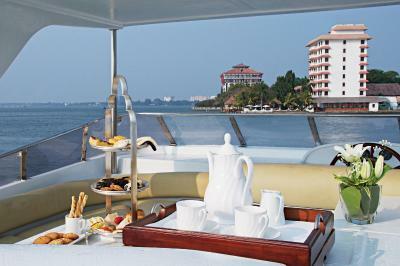 Guests can enjoy sailing in a luxury yacht with lunch cruise and high tea in the Arabian Sea at an additional charge. 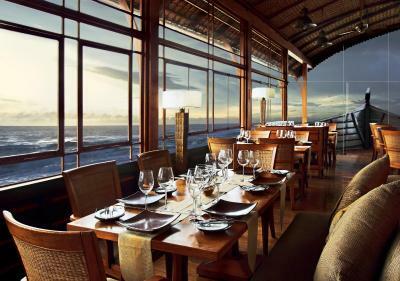 Offering hearty Italian dishes and healthy meals, The Pepper provides all day dining with views of the garden. 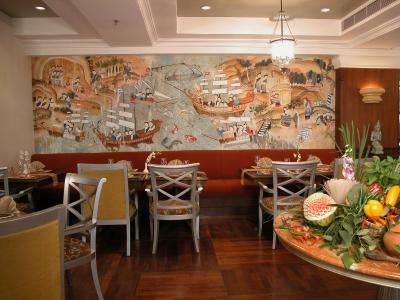 The Rice Boat serves seafood specialties while Dolphin’s Point features outdoor barbecues. Refreshing beverages can be enjoyed at the bar. 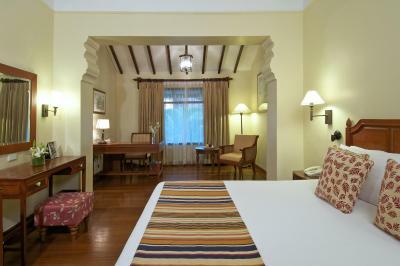 When would you like to stay at Taj Malabar Resort & Spa, Cochin.? Featuring hardwood floors and carved ceilings, rooms offer views of the city. They come with a 32-inch LCD TV with home theater system, minibar and tea/coffee maker. The private bathroom has a makeup mirror, hairdryer and toiletries. 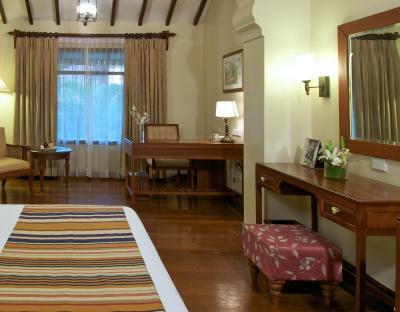 This spacious room features Victorian-style interiors and fine dark wood furnishings. It has views of the grounds and includes a 32-inch LCD TV with a home theater system, a minibar and a tea and coffee maker. The private bathroom has a makeup mirror, a hairdryer and toiletries. 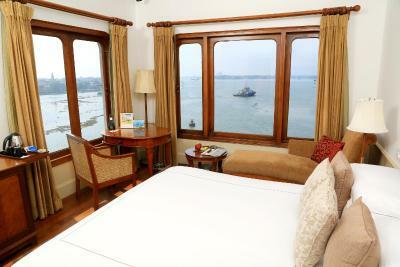 Offers panoramic sea views from over-sized windows. Featuring hardwood floors and carved ceilings, rooms come with a 32-inch LCD TV with home theater system, minibar and tea/coffee maker. The private bathroom has a makeup mirror, hairdryer and toiletries. 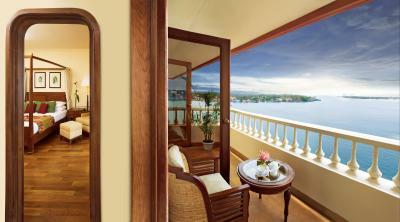 Offering sea views and breezes, spacious room features Victorian-style interiors and fine dark wood furnishings. 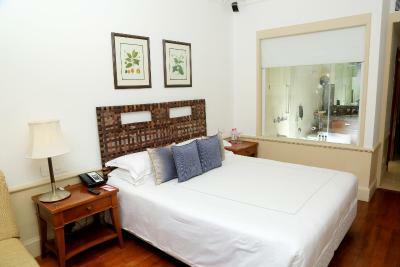 They come with a 32-inch LCD TV with home theater system, minibar and tea/coffee maker. The private bathroom has a makeup mirror, hairdryer and toiletries. Overlooking the garden, this spacious room features Victorian-style interiors and fine dark wood furnishings. 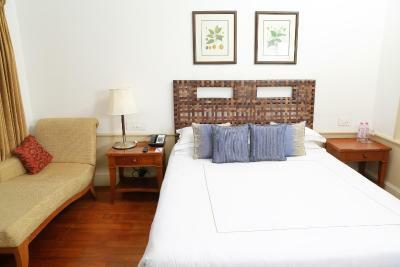 It comes equipped with a flat-screen TV, home theater system, minibar and tea/coffee maker. The private bathroom has a bathtub, hairdryer and toiletries. 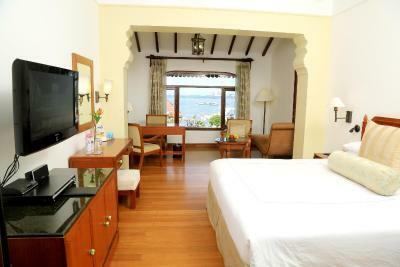 Overlooking the sea, this air-conditioned room features hardwood floors, minibar, tea/coffee maker and satellite TV. 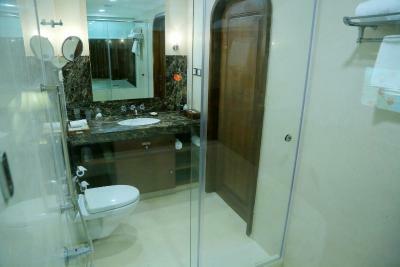 The private bathroom includes a bathtub, shower and hairdryer. 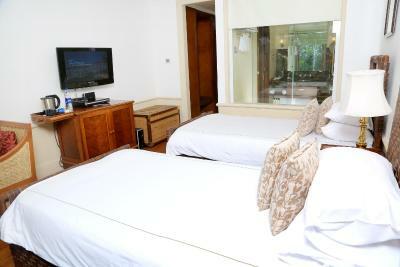 This twin room features a DVD player, satellite TV and air conditioning. This suite has a bathrobe, electric kettle and mini-bar. 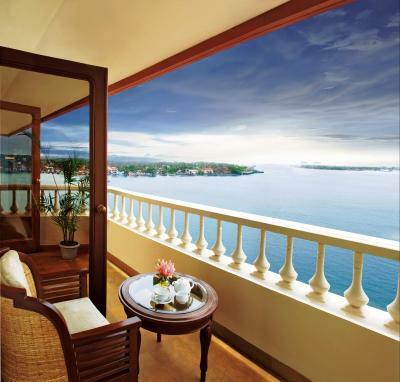 5 reasons to choose Taj Malabar Resort & Spa, Cochin. 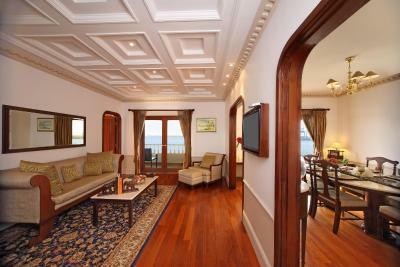 An Inside Look at Taj Malabar Resort & Spa, Cochin. 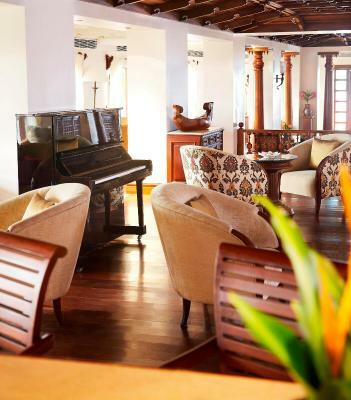 In its 80th year and having been witness to history, this leisure hotel with 4 restaurants, a Bar and a Jiva Spa, offers the best accommodation with views of the backwaters, harbour and the Arabian Sea in the distance. 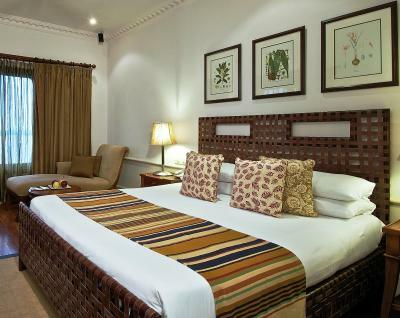 Just fifteen minutes from MG Road and a short 20 minute drive from the city center, this lovely hotel offers the charm of Indian hospitality with all comforts. House Rules Taj Malabar Resort & Spa, Cochin. takes special requests – add in the next step! 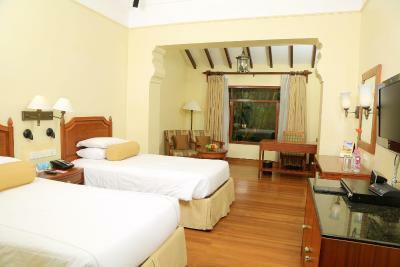 All children under 12 years are charged INR 2000 per night for extra beds. 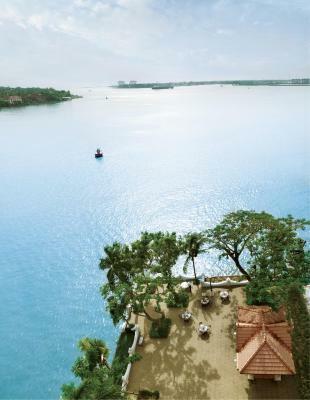 Taj Malabar Resort &amp; Spa, Cochin. accepts these cards and reserves the right to temporarily hold an amount prior to arrival. 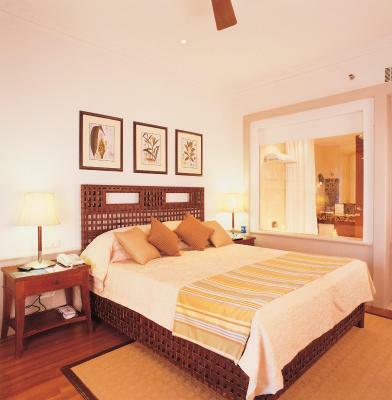 Taj Malabar Resort & Spa, Cochin. accepts these cards and reserves the right to temporarily hold an amount prior to arrival. Please note that for security purpose all Indian guests are required to present a valid photo ID proof (Voter's ID, Driving License, Aadhar Card, any other ID with address approved by the Government of India. Pan Card is not acceptable). All international guests are required to present a valid passport and visa. Please inform Taj Malabar Resort & Spa, Cochin. of your expected arrival time in advance. You can use the Special Requests box when booking, or contact the property directly using the contact details in your confirmation. 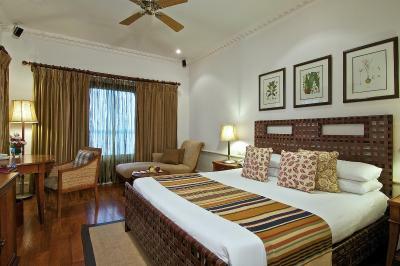 See all guest reviews for Taj Malabar Resort & Spa, Cochin. 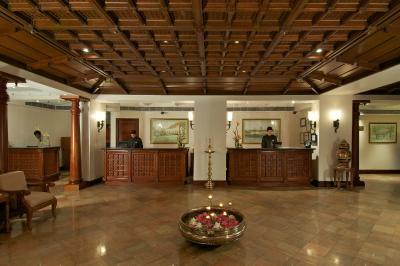 Newest Reviews for Taj Malabar Resort & Spa, Cochin. It will be good if hotel people can clean near by water coz I saw some plastic paper , bottle on sea. The staff were absolutely delightful. Nothing was too much trouble. Very genuine and friendly. I have been fortunate enough to stay at this hotel already several times. As always, everything was perfect without fault and everybody at this hotel understands what hospitality is all about!! I don’t think the sea food restaurant is worth paying a lot of money, honestly speaking. It was so so. Calm place (except wedding part). the Interior was good tast. complimentary services were more than expected. and excellent staffs. We had a very noisy first night with guests having a party in the next door room! Hotel gave us an upgrade the next day to a bedroom suite as compensation. The new room was amazing! Staff friendly and very helpful. 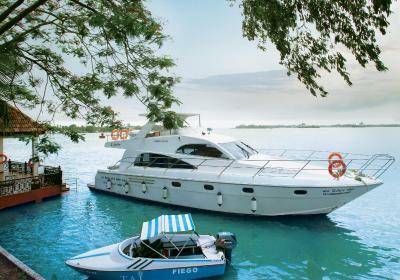 A very peaceful location with daily boat service to Fort Kochi. A little far from the airport but good views across the water once there. Varied breakfast - lovely choice of hotel restaurants, and delicious fish meal in The Rice Boat there. Lovely swimming pool with helpful and attentive pool bar staff, especially Sundip? From Calcutta. Complimentary ferry to Jew Street. Nice property at a good location! The staff are very friendly and will make you comfortable. The staff were wonderfully helpful and friendly. We booked two nights to celebrate our 30th wedding anniversary and for our special dinner the staff seated us at the most perfect table outside, put yellow flowers on the table and presented us with a chocolate cake for a special desert. 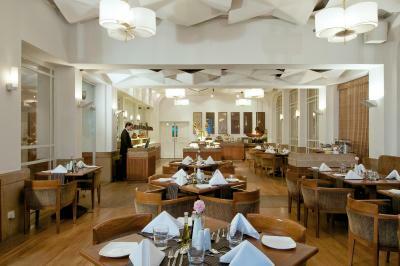 The range of food is excellent, and quality of ingredients impressive, The staff are very welcoming! We booked a two night stay here and it was exceptional. Staff were excellent and the hotel itself is very beautiful.